This article was originally published on Nov. 16, 2017 and was updated for the 2018/19 season –ed. Winter in Ocean City is what I spend all year looking forward to. Sure, summer is nice–there’s the beach, the sun and the knowledge that every business in town is open. But if you can take or leave the hot weather like I can, you might find that the town is actually more enjoyable and adventure-friendly in the wintertime. There’s about 100x less traffic in the off-season, and that you could probably close your eyes and walk the entire length of the boardwalk without bumping into anyone. The downside, of course, is the lack of sunbathing and having to call a restaurant to find out if they’re open instead of walking right in. The secret is, even though not everything is open during the winter months, there’s still tons to do; you just have to know when things are happening and what’s still open. Here are just a few of the places and things you can take advantage of during an Ocean City winter. Sitting right over the bay on 94th street with one of the best sunset views in Ocean City is the OC Center for the Arts, home to the Art League of Ocean City. Inside you’ll find a two-story gallery, classrooms, five artist studios, a pottery studio, an art library and even local handmade jewelry and pottery available for sale. One hidden gem in Ocean City is the Center for the Arts, home of the Art League of Ocean City. At the OC Center for the Arts, you can walk through multiple galleries and see the art of local and regional artists, or take a class and learn how to make something for yourself. There’s a pottery studio, five additional artists’ studios, a library of art books and always something going on. 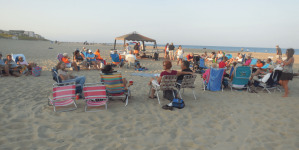 From free weekly events hosted by the town, to major festivals and celebrations, all you need to know about performances and events in Ocean City is on this page. The Center for the Arts isn’t to be confused with the Performing Arts Center, the multi-leveled auditorium and exhibit hall located inside the Roland E. Powell Convention Center on 40th street. The Performing Arts Center often has local talents performing in their theater, but they also frequently host big names–The Beach Boys and Joan Jett are two recent touring acts that come to mind. It was a cold night as we drove along the Route 90 into Ocean City. From the bridge, you could see the array of lights set along the coastline, illuminating the buildings all around town. If you’re looking to get into the holiday spirit (and a Home for the Holidays concert doesn’t do it for you), the Winterfest of Lights is the biggest and best festivity in Ocean City. For only a few dollars, you can ride a tram through Northside Park and immerse yourself in a winter wonderland. Christmas carols play from the tram speakers as you travel through a bright 12 Days of Christmas display, watch Rudolph fly through the air and take a visit to Santa’s light-up workshop. End your night in the heated Winterfest Village Pavillion where you can meet St. Nick himself while sipping on a marshmallow-topped hot chocolate. 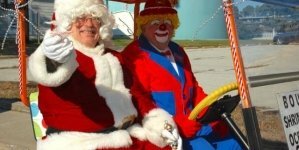 This year, the Ocean City Christmas Parade begins at 11 a.m. Saturday, Dec. 2 on Old Landing Road but you may want to show up a little earlier for the best seats (and as always, feel free to call the town for more information 410-250-0125). If you miss Santa at the Winterfest celebration, you’ll have another chance to catch him at the annual Ocean City Christmas Parade. See horses, festively themed floats, antique cars and marching bands tread down Coastal Highway. Awards for the best parade acts will be given out after the parade at the Carousel hotel, where there will also be pictures with Mr. and Mrs. Claus, half-priced ice-skating and a DJ spinning holiday tunes all day long. 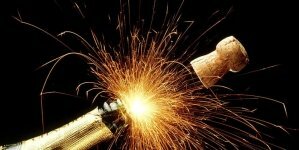 If your resolution is to have more fun in 2019, Ocean City is the place to celebrate the New Year. 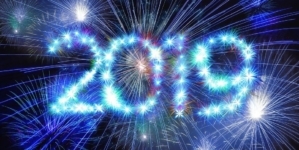 The Winterfest of Lights festivities will continue on December 31, with the added bonus of a big and beautiful fireworks spectacle to let in 2019 with a bang. 2017’s Light Up Downtown Festival is on Nov. 17 from 3 – 6 p.m. Any lover of the holidays won’t really need a reason to want to attend Ocean City’s annual Light Up Downtown Festival-after all, it’s chock full of pretty much every exclusively Christmastime specialty except egg nog. Many local and boardwalk shops will open for the day if the weather is nice enough, but even if you aren’t so lucky as to vacation when the weather is unseasonably warm, you can snag some great deals at the outlets in West Ocean City. If you’re looking to buy holiday gifts, there’s also a Holiday Shopper’s Fair at the Convention Center from November 23-25, where you can find presents for your loved ones ranging from jewelry and ceramics to photography prints. You can really bring your entire family to the boardwalk between October 1 and April 30, when dogs are allowed to traipse the boards and the beach. The winter is also the best time to rent bikes, scooters or a surrey. No worries if someone’s still got to have the training wheels on, because now there’s much less of a chance of running into innocent passersby. 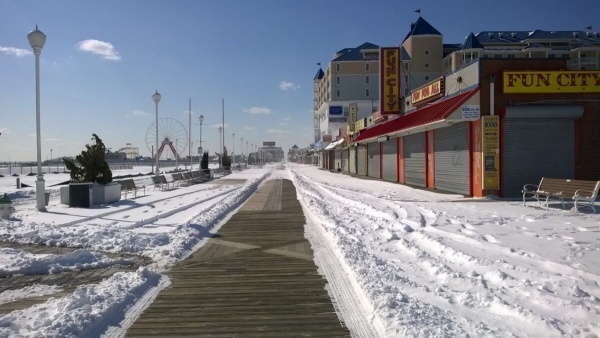 One parts beach, two parts winter wonderland While it’s true that most Ocean City businesses and amusements are closed in the dead of winter, there are plenty of reasons to plan a winter vacation in OC. You could be lucky enough to have 60-degree weather in January. Or it could be super windy and feel like it’s about -50 degrees outside. If that’s the case, worry not: there’s still plenty to do. You’re surely familiar with the excess of outdoor mini golf in OC, but there are places to golf inside, too. 136th street’s Old Pro course offers an indoor safari theme, while the 68th street course is decorated with fishes and other underwater paraphernalia. Even if you can’t enjoy the actual ocean, you can feel like you’re putting at the bottom of it. One thing you definitely won’t find in Ocean City in the off-season: Noise. It’s the perfect time of year to bring a chair up to the beach and read a book while listening to the waves crash, or sit on a pier over the bay and meditate. As someone who likes to take pictures, I also find winter to be the optimal season for Ocean City photogenic-ness. There’s something so beautiful and peaceful about a quiet, empty beach, or a seemingly abandoned amusement park. No one needs a good reason to visit Ocean City, but sometimes there’s an extra incentive to come and an even better one to extend your time at the beach. Whatever the season, there are hotel packages in Ocean City that will make you consider the possibilities of a weekend getaway, even if you are a local. Hotels. Restaurants. Attractions. Everything is way cheaper in the winter. 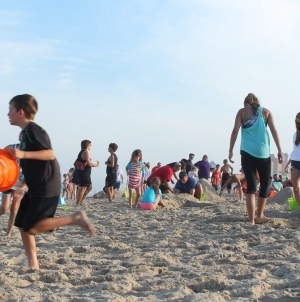 Not only will you find that there are a ton of fun, seasonal activities in Ocean City, but you’ll also be able to enjoy them for half the usual price. That’s the best Christmas present of all. These are awesome ideas. We will have to try some out.